Shine to launch Unicef's London fireworks, India Tourism appoints McCluskey, ECCO appoints Ketchum and more from PRWeek UK. 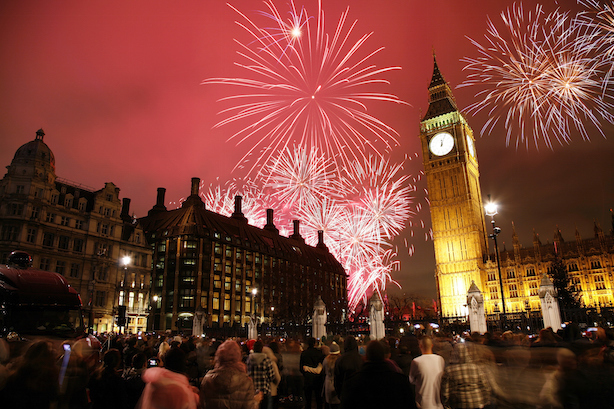 Shine Communications has won a competitive pitch to help support the charity Unicef UK's partnership with the Mayor of London's New Year Eve fireworks display, and Edinburgh Hogmanay. The partnership is spearheading Unicef’s New Year Resolution campaign calling for Brits to donate, make a change and help children affected by the conflict in Syria. McCluskey International has been appointed as the UK PR agency for India Tourism. The two-year contract begins with immediate effect and has a consumer and trade scope with the aim of "strengthening India’s image and appealing across a wide range of UK traveller audiences, from family travellers to adventure seekers and nature lovers". Danish fashion brand ECCO has appointed Ketchum as its sole UK press office agency. Ketchum was appointed after it worked on the launch of ECCO's flagship store on Oxford Street in September. The agency will handle all UK consumer comms and work with bloggers to build brand awareness. David Lloyd Leisure has appointed Kaizo to promote its new programme Your Health & Fitness in the UK. The programme is tailored to individuals, with a personalised nutrition plan and fitness tests. Kaizo did not competitively pitch for the work. The agency will help launch the programme across David Lloyd's 82 clubs in the UK as well as establish it as the go-to brand for health and fitness enthusiasts. New York-based healthcare specialist Pascale Comms has signed a strategic partnership with London's Say Communication and formed new unit PCGlobal to assist international clients. The two firms will be able to partner to offer a wider range of services through this new arrangement, a press note said. John Doe Communications has been appointed as the PR agency for new art and music festival Scarborough Fair after a competitive pitch process. The Yorkshire festival takes place for the first time in May 2016. New cycling and sportswear brand Fat Lad At The Back, which was launched in 2013, has appointed Rule 5 to manage its UK comms strategy following a competitive pitch. Work is already under way with Rule 5 tasked with delivering media and blogger relations, product placement and business profiling. National Rheumatoid Arthritis Society head of government affairs Jamie Hewitt has joined Portland as an account director in its health team. Before working for the charity, Hewitt had worked in a political consultancy and a non-departmental public body.